The Concertino is in one movement with three distinct sections. The first, Allegro molto con spirit, opens with a rhythmic cell in the trombone part that recurs at various points conferring unity. The middle part is slower, modulates and features running eighth note arpeggios in the piano part, while the trombonist plays espressivo lyrical lines. There is a brief cadenza and return of the opening tempo with slightly altered melodic material, culminating in a rousing conclusion. The formal, harmonic, rhythmic and melodic elements are all conservative. From a technical standpoint the trombone part is playable by a good undergraduate, even by a very good high school performer with a solid low register. 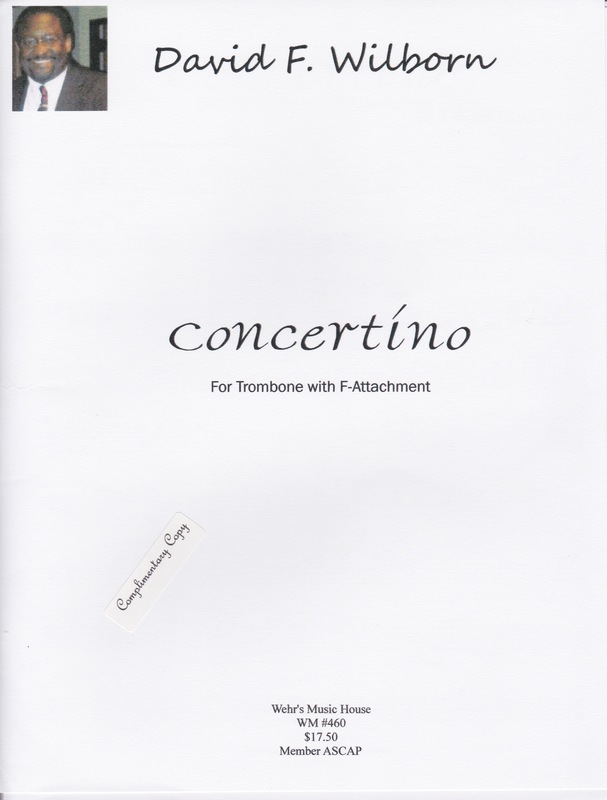 Concertino can work well on bass trombone, fitting perfectly into its range.